Interaction analysis of fluid, solid and thermal in the macro simulation based on continuum model is researched. 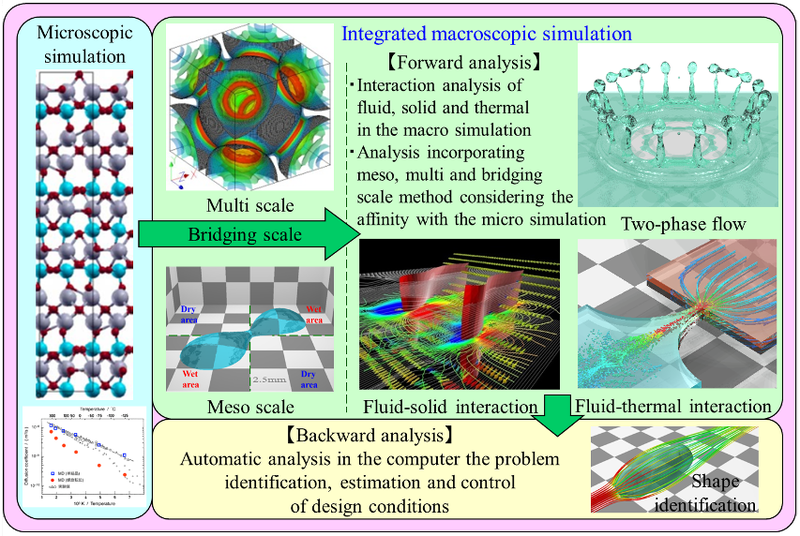 Analysis incorporating meso, multi and bridging scale method considering the affinity with the micro simulation is researched. Development of integrated macroscopic simulation involving these forward analysis and backward analysis is targeted.